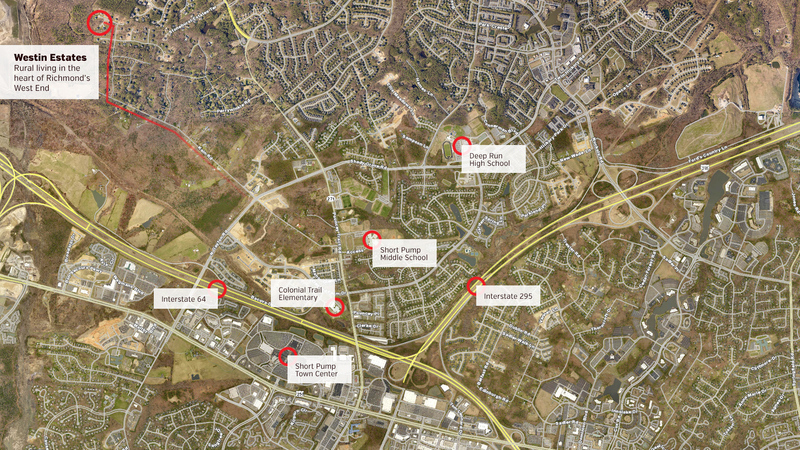 So near to Richmond’s premiere shopping, dining and recreational venues, just moments from Interstates 295 and 64, yet you’re in the middle of the beautiful Virginia countryside. Welcome to Westin Estates, this is our last lot–a lovely cul de sac, Axe Handle Terrace, that you’ll share with just three other neighbors. 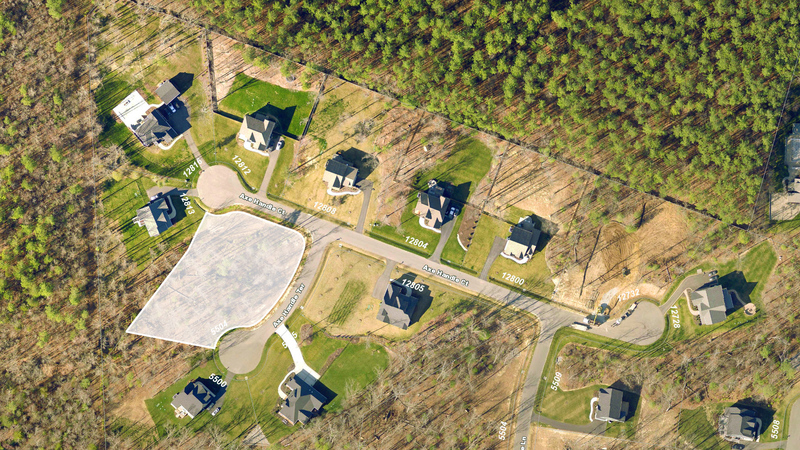 The large 1.12 acre lot is treed and offers a number of siting options for a true custom home. Come see for yourself. 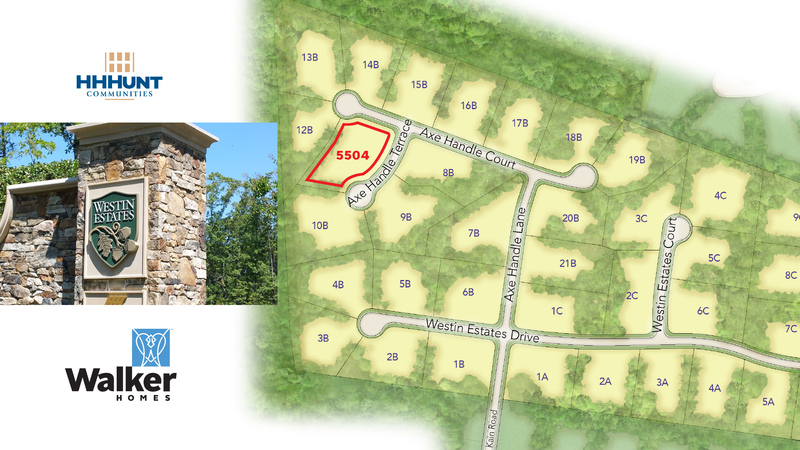 5504 Axe Handle Terrace in Glen Allen, Virginia (23059) is located in the exclusive community of Westin Estates. From the North: Travel West on 295, take exit 51A for Nuckols Road North, merge onto Nuckols Road, turn left onto Twin Hickory Road, continue onto Shady Grove Road, continue onto North Gayton Rd, turn right on Kain Road, turn right on Axe Handle Lane, turn left on Axe Handle Court, turn left on Axe Handle Terrace. From the Richmond: Travel West on 64, take exit 175 for 288 South, take 250 Broad Street exit, merge right onto Broad Street East, turn left on North Gayton Road, turn left on Kain Road, turn right on Axe Handle Lane, turn left on Axe Handle Court, turn left on Axe Handle Terrace. From Charlottesville: Travel East on 64, take exit 175 for 288 South, take 250 Broad Street exit, merge right onto Broad Street East, turn left on North Gayton Road, turn left on Kain Road, turn right on Axe Handle Lane, turn left on Axe Handle Court, turn left on Axe Handle Terrace. 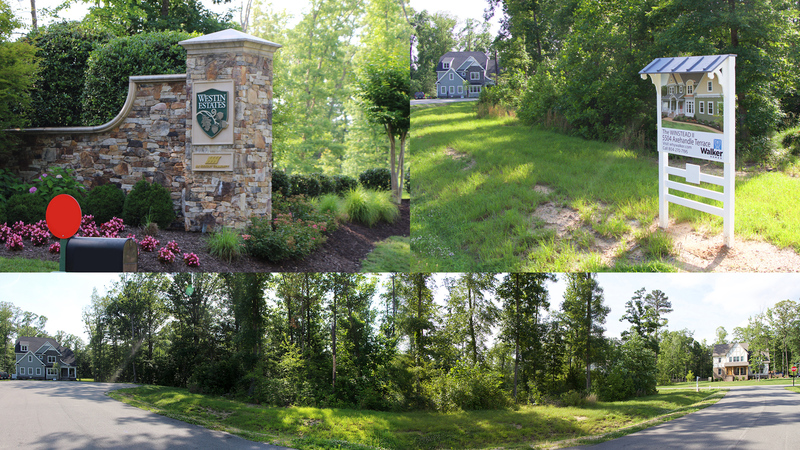 If you’d like to explore the idea of building a custom home on this exceptional lot or elsewhere in the Richmond area, please call me or drop me an email. My team and I look forward to the possibility of working with you.